Unprecedented in scope and illustrated with more than 700 original drawings, plans, diagrams, and contemporary and archival photographs, Mies by Detlef Mertins is the most definitive monograph ever published on the modern master of architecture Mies van der Rohe. 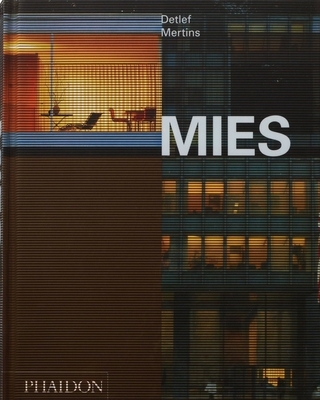 Mertins’ rich and highly readable text traces the aesthetic and intellectual context for all Mies’ work, with in–depth discussions of his most important projects. Featuring some of the twentieth century’s most iconic buildings, such as the Barcelona Pavilion in Spain, the Crown Hall at IIT, and the Seagram Building in New York, Mies paints a fascinating portrait of the famed architect whose contribution to the modern urban landscape cannot be overlooked.